Rock Or Bust, the new album from AC/DC, will be released on December 2 and the 11-song collection is the band's first since 2008's Black Ice. When pre-ordering the album from iTunes you will receive an instant download for the track "Play Ball". 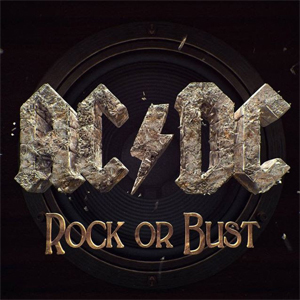 The Rock Or Bust album features an inventive three-dimensional lenticular cover, which gives the illusion of the band's iconic logo exploding as the packaging is moved in different directions. Drummer Phil Rudd was forced to miss AC/DC's video shoot for the songs "Rock Or Bust" and "Play Ball" last weekend in London, England due to a "family emergency." Filling in for him was Bob Richards, who had previously played with SHOGUN and IRON MAIDEN guitarist Adrian Smith.